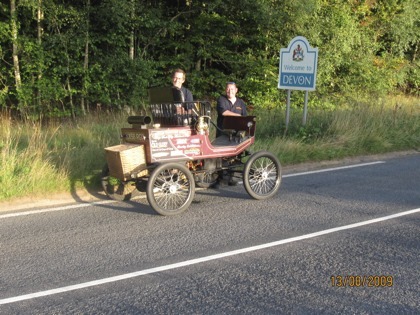 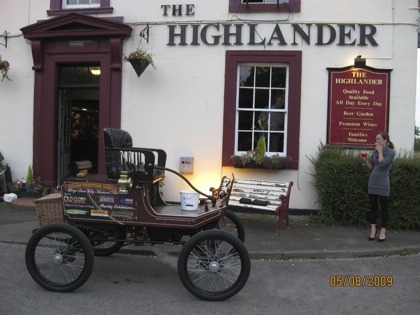 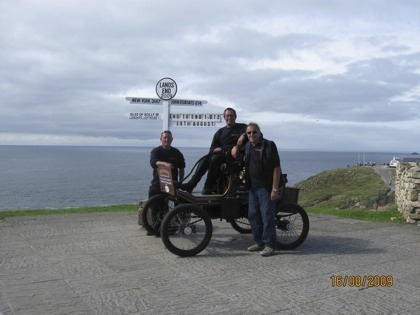 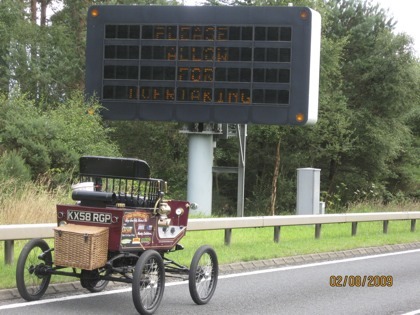 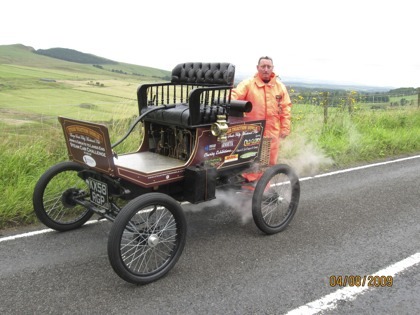 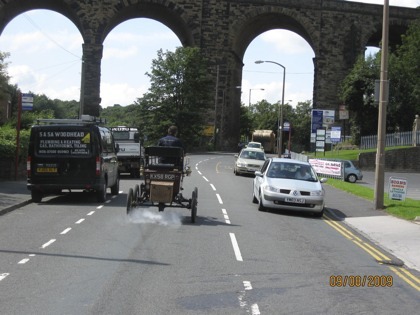 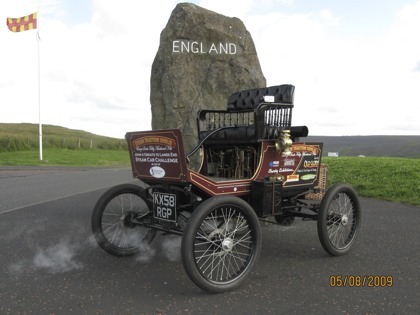 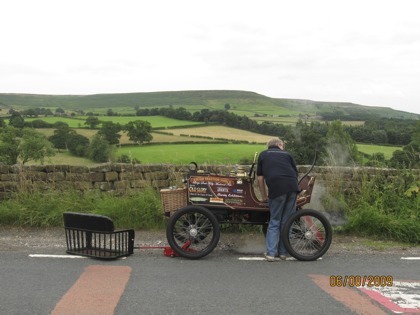 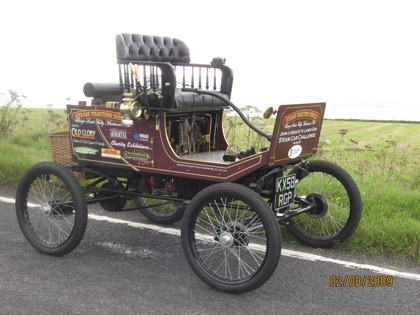 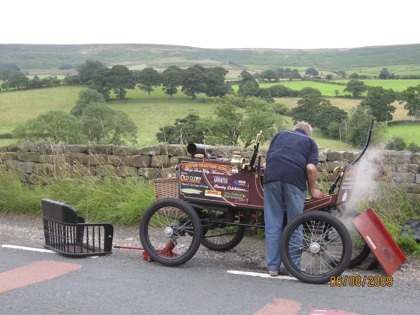 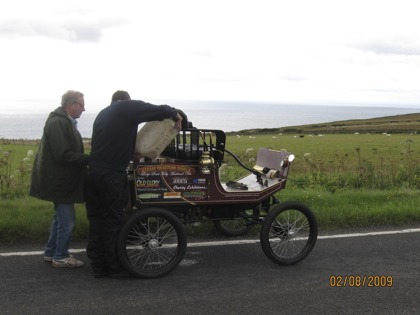 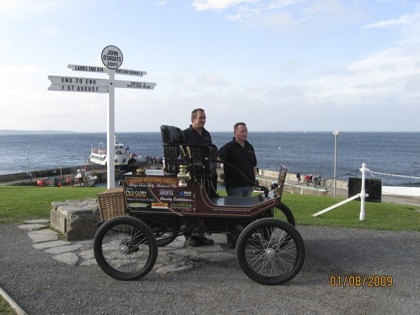 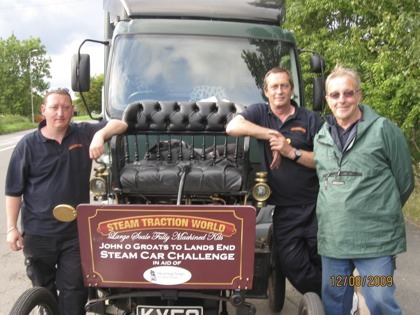 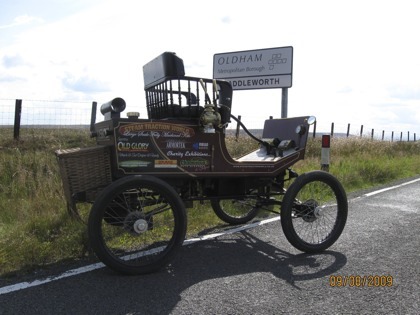 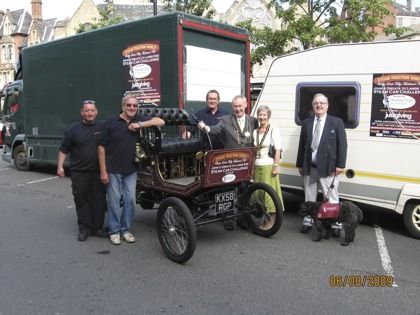 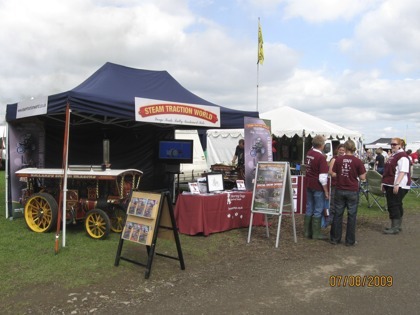 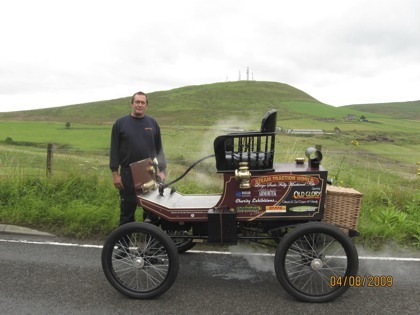 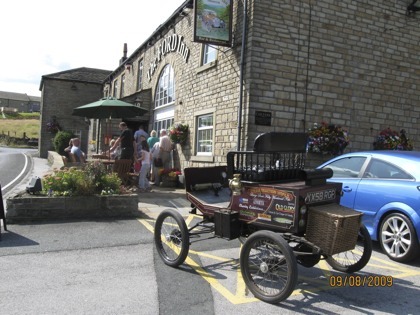 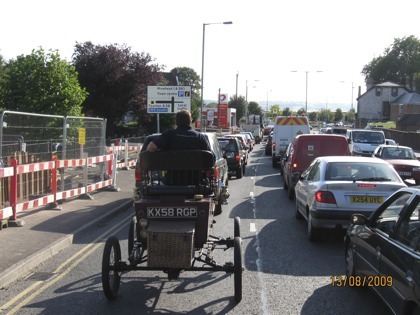 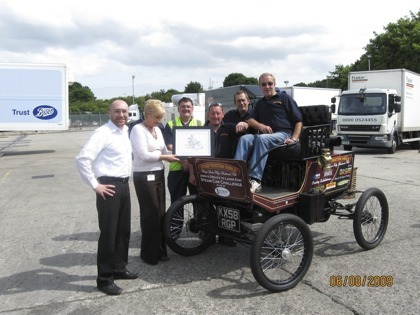 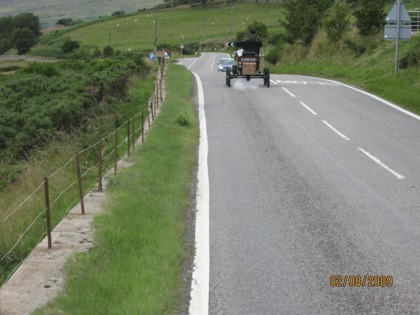 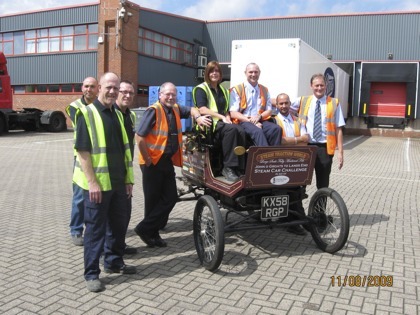 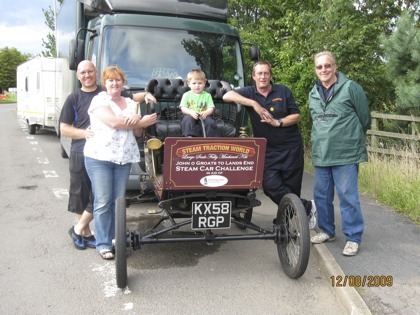 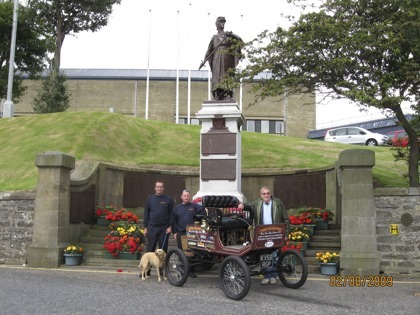 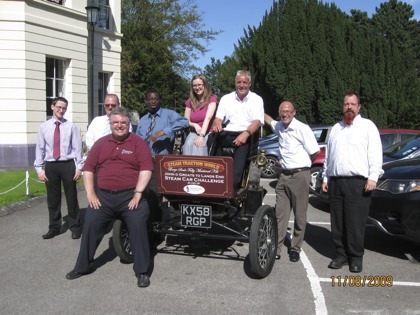 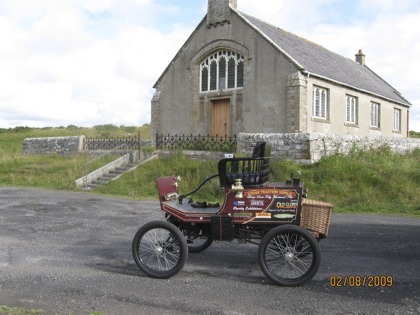 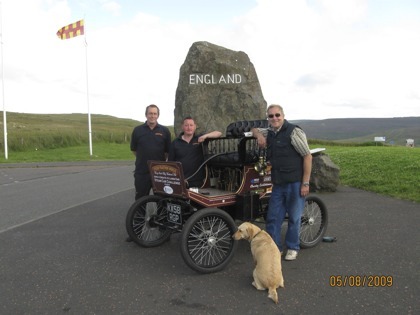 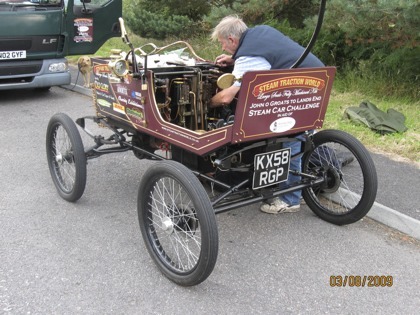 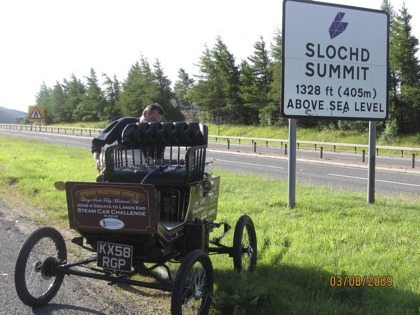 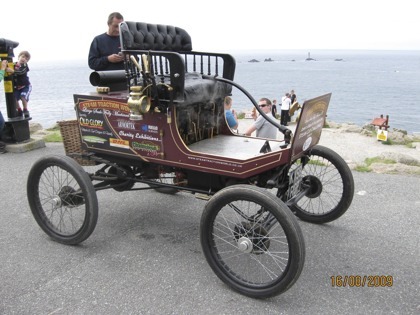 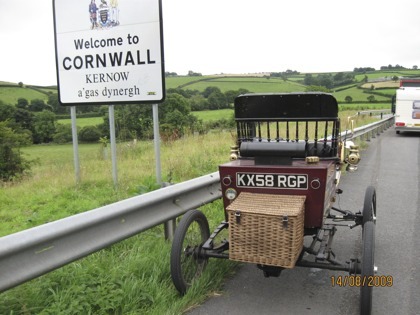 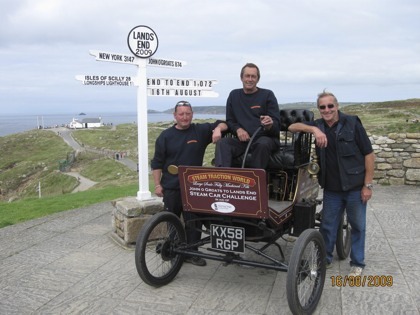 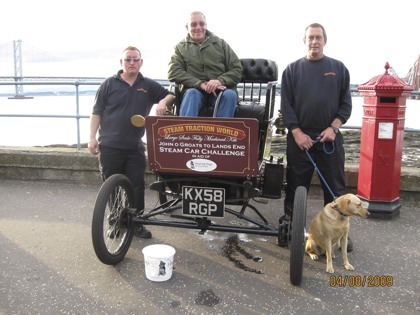 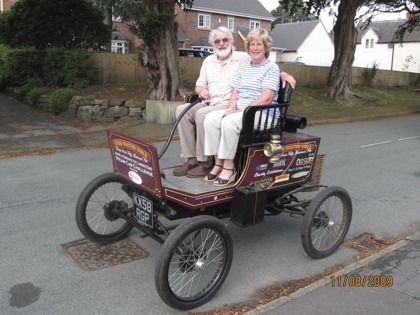 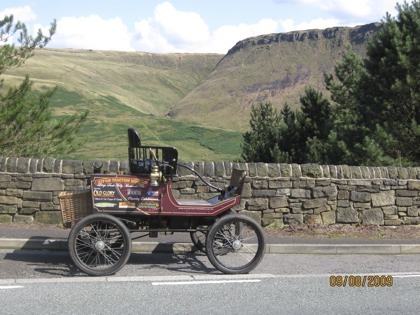 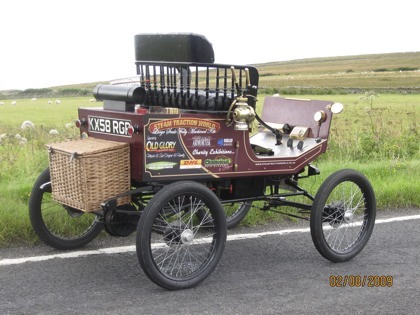 Steam enthusiasts Dean Rogers and Steve Baldock driving the 991 miles in a specially built Lykamobile/Likamobile, based on the famous Locomobiles of the early 1900s, and are doing the run in support of Hearing Dogs for Deaf People. 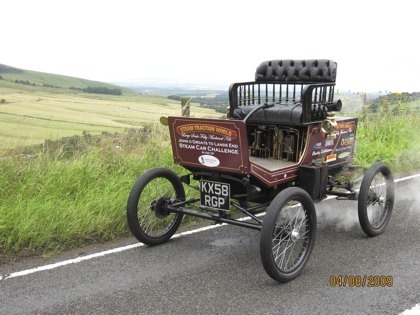 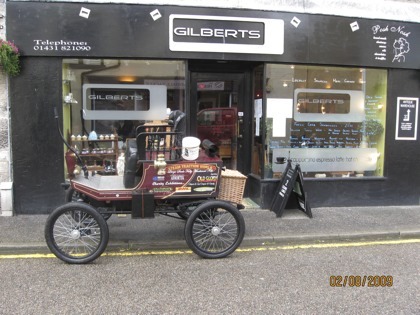 The Lykamobile has an average speed of 10 to 15 miles per hour, with a top speed of just 37 miles per hour. 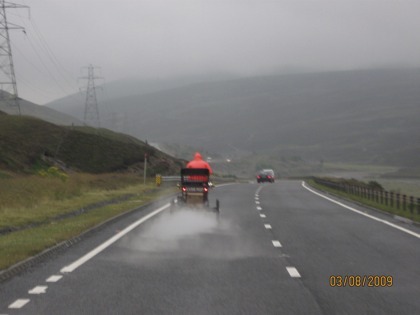 It has to stop once every hour to take on more water, and it has to be topped up with diesel twice a day. 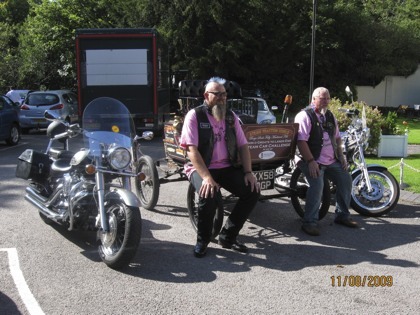 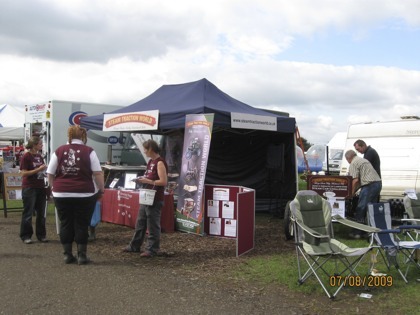 There were stops en-route for fundraising and special events. 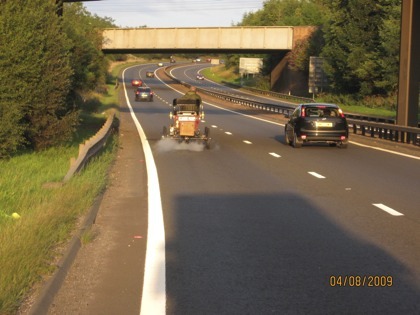 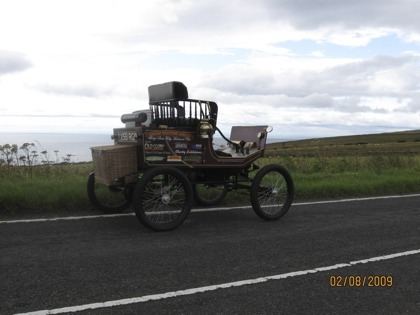 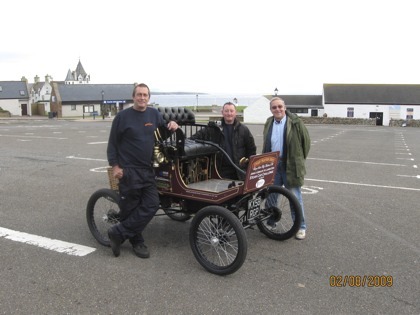 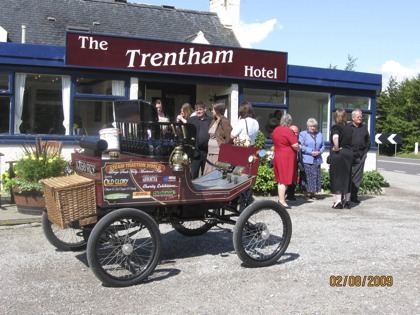 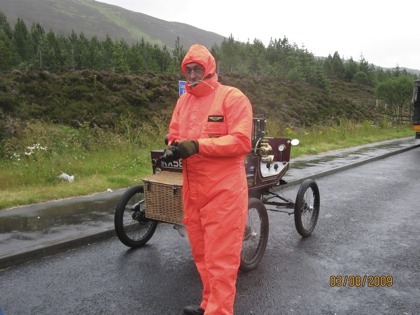 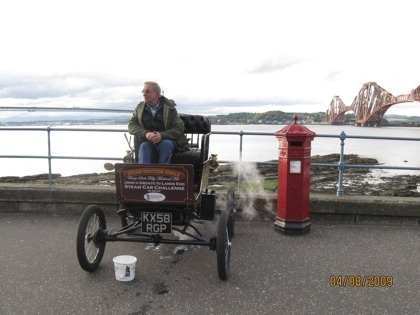 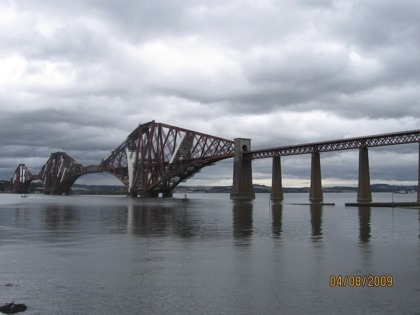 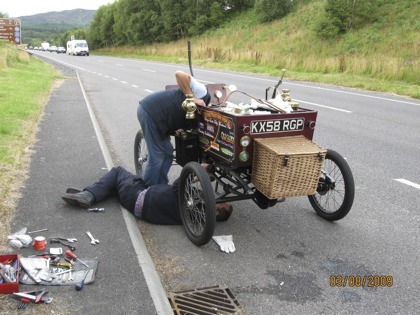 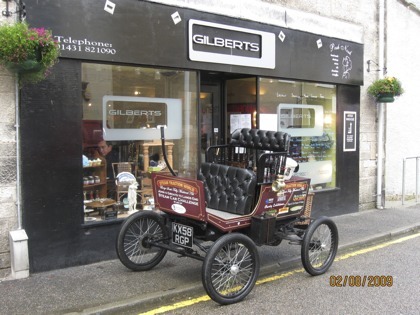 With a few problems, not helped by bad weather, the little car travels through Scotland, crossing the Forth on the fourth - now that is good planning!